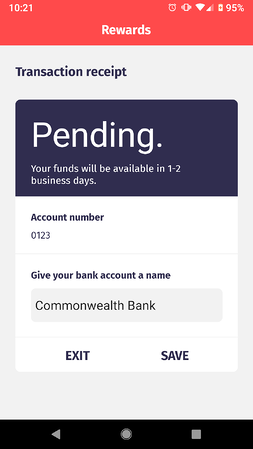 Did you know Shping is the first cryptocurrency to offer direct cash out to any bank in Australia and Singapore (going live on Monday!)? 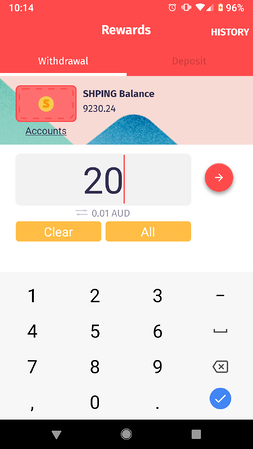 Cash-out to makes it super quick and easy to redeem the coins you’ve earned while scanning for cold hard cash. 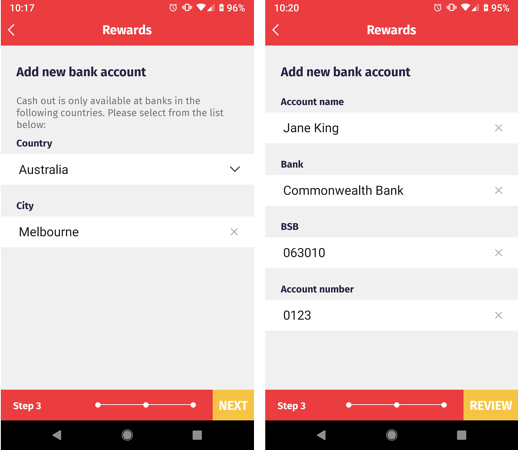 In this step-by-step guide we’ll take you through how you can cash out rewards straight to your bank account with Shping. So you’ve scanned your heart out and accumulated a bunch of Shping coins. Nice one! What’s next? 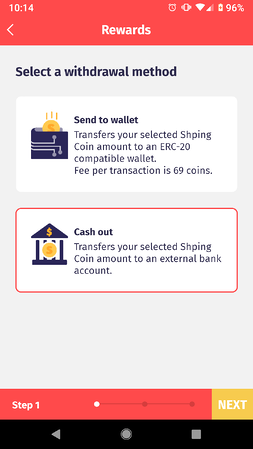 Step 1: Shping’s cash-out wallet feature lets you transfer the coins you’ve earned straight into your bank account. The first step is to open the Shping app and go to your ‘Rewards’ tab. Here you can choose how many coins you want to withdraw. Step 2: Now choose ‘Cash Out’ to withdraw your coins to your bank account. Step 3: If you’re a first-timer to cashing out, you’ll need to add a new bank account. 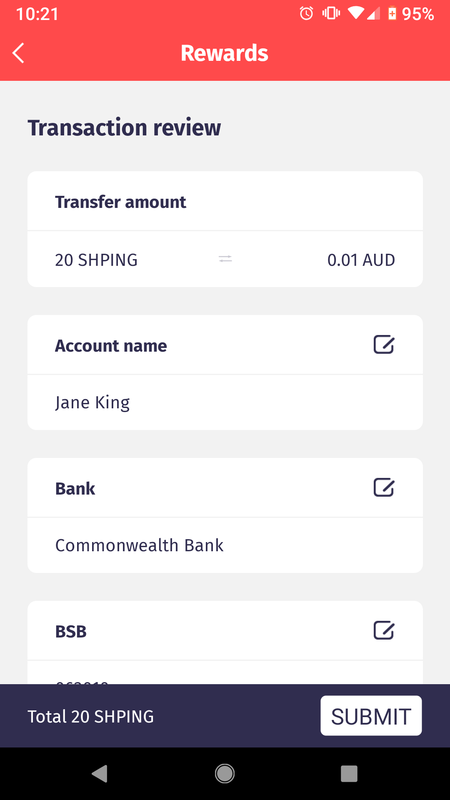 Fill in the bank details of the account you want your Shping coins to be transferred into. Step 4: You’re almost there! Review your transaction to make sure you’ve put in the right transfer amount and the right bank details. If everything looks good to go, hit the Submit button! Step 5: Cash out your rewards straight to your bank account. You’ll get a transaction receipt that will let you know your funds are pending. Sit tight! It usually takes 1-2 business days for your funds to become available. And that’s it! With just a few taps of a button, you’ve earned and redeemed crypto by shopping with Shping.